Have Roaches Claimed Your Home as Prime Real Estate? Generally speaking, cockroaches are harmless to humans. This does not mean anyone really wants to live with them, however. As with any insect infestation, getting rid of them through roach control is a prime concern. 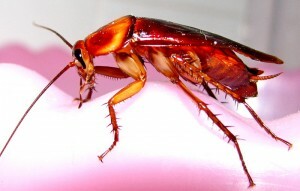 While many species of the cockroach exist, the German cockroach, the Oriental cockroach and the American cockroach are the ones that mainly get into homes in the United States and Canada. The German roaches are brown to reddish brown in color and grow to about a half inch in length. The Oriental roach is a shiny black color and grows much larger. The American roach is brown to black in color and grows the largest at an inch and a half or more in length. Some people call the Oriental and American roaches waterbugs but that name is not technically correct as those that inhabit homes usually do not swim, although they like warm, moist places. Prevention is the best pest control by working to keep cockroaches out of the home in the first place. These insects are looking for the same elements that all other life seeks, namely water, food and shelter. Although they will eat almost anything, including wallpaper paste and the glue in book bindings, they prefer organic material such as food crumbs and garbage. Therefore, it is important to vacuum or sweep the kitchen and dining room floors every day or at least frequently. Keep all non-perishable food in glass or plastic containers. If you leave dirty dishes in the sink, be sure they are submerged in soapy water as roaches do not like soap. Wipe down the stovetop, counters and the table after cooking and eating. Take food scraps and wet garbage outside the home daily. The best pest control once a roach infestation occurs is getting rid of them as soon as possible. Any delay will see a steady and fast increase as one female can produce up to 160 new roaches at a time. Over her lifetime of around two hundred days, she is able to produce thousands of offspring. The first step in roach control in order to determine if a home has a problem and how extensive it is, is to set out glue traps found at grocery or hardware stores. Place them in various areas where there is usually no heavy traffic and leave them at least overnight. If roaches are found on the glue traps it is time to contact local pest control professionals for help. While some success is possible using home remedies for roach control, this job is best left in the hands of licensed exterminators. It may seem that natural products or over the counter sprays and substances are working but it is more likely the insects have just taken cover until the air clears. Roaches are masters at survival and because they can fit into the tiniest crevices and cracks, they will usually burrow until the pesticide smell is gone and then resurface. In the meantime their breeding habits will go on and there will be many more of them. Pesticides available to the public claim to eliminate cockroaches but may not be strong enough, especially for a large infestation. Local pest control technicians have industrial strength pesticides that are not available to the public. They are also trained to do a complete assessment to determine the kind of roach in the home and the scope of the problem. They will ensure the safety of family members and pets by where and when spraying or placing insecticide occurs. A guarantee in the form of a second treatment is usually offered. When roaches appear, contact an exterminator immediately.